It’s true… I’m very passionate about dancing! 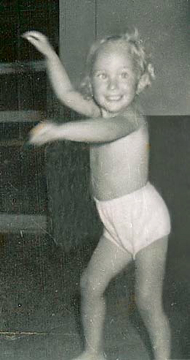 In fact, I’ve been dancing for as long as I can remember. 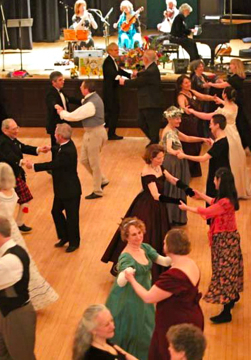 Folk dance, free style, contra and square dance, English country dance, Irish set dance, Argentine tango, Appalachian, waltz, Scandinavian, Latin, play-party games, dances of various cultures, dances of different time periods ... I love it all and continue finding new dance forms to experience and share. I also love international travel and immersing myself in diverse cultures. 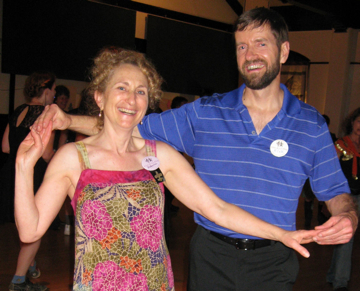 I have lived in Canada, Asia and many regions of the United States, so dance, travel and cultures merge seamlessly in my extraordinarily clear, organized teaching style. 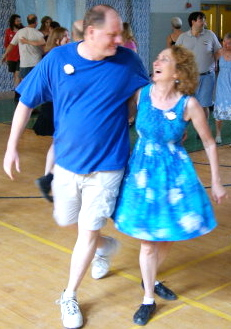 Whether I’m working with soldiers who suffer from Post Traumatic Stress Disorder and find some relief through dancing, helping populations with special needs, youth in a school classroom, historic re-enactors, the elderly, a room of contra dancers or simply teaching private lessons, I help others discover their own inner talents and expression. Together we move as one and rejoice in our connections. For more than 20 years I have been on the Kentucky Arts Council’s Arts Education Roster, which is a juried listing of artists of exceptional ability selected to teach in Kentucky schools. The Kentucky Arts Council is a state arts agency, supported by state tax dollars and federal funding from the National Endowment for the Arts. I am now on the VSA-Kentucky artist roster. VSA-Kentucky is the state organization on Arts and Disability. My presence on the juried artist roster assures clients of my expertise and experience working with populations of varying abilities and modifying activities for maximal learning. I am also on the Kentucky Center Arts in Healing artist roster. Through this adjudicated roster I bring my dance experience into the wider community, providing active learning of dance which can be healing in healthcare and other settings. I am trained in Different Ways of Knowing and utilize multiple intelligences in my lessons, so every individual can learn in his or her own way. The Kentucky Department of Education certified my original professional development teacher training. I have developed lesson plans for primary through high school teachers that are published in Kentucky Educational Television’s Dance Toolkits. I also helped develop and performed in a collaborative dance and theatre performance piece about my life and the lives of other Jewish women in Kentucky. I received an Appalachian Music Fellowship through Berea College, which I used to conduct original research on western Kentucky play-party games. These were dances usually accompanied by singing that were popular from the mid-1800s to mid-1900s. In my research I interviewed more than 75 people between the ages of 80 and 100+ to learn the play-party games they had danced in their youth, most of which had never before been collected or published. I also had another career before becoming a dance educator and caller. I used my Master of Business Administration degree to expand the use of computer software in innovative, creative directions. I developed one of the first systems to use bar coding in health care and served as a member of a national panel seeking to coordinate bar code and other technological communication between diverse health care providers. I managed projects that saved hospitals millions of dollars and made medical information available to doctors over long distances, all before the days of electronic medical records. I taught English as a second language in a refugee camp in Thailand, cooking at a junior high school and for an Outward Bound base camp. I have lived in a city of eleven million and in a community that was too small to be listed on a map. I love diversity and new challenges. Tens of thousands have already enjoyed learning dances and related cultural information from me, and I would love the opportunity to work with you!